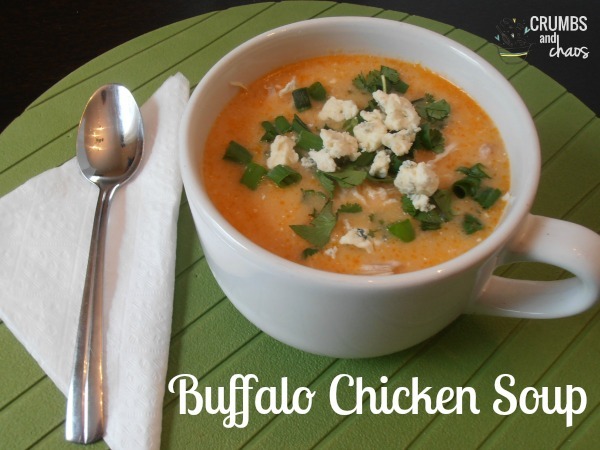 Once again, two of my favorite things collide, buffalo chicken and soup. For a while now I have had an extreme love for buffalo sauce. I don’t really care for eating the chicken off of the bone, but if you flavor the meat (or the Pringles — which I can’t seem to find anymore!!!) I love it! Just the smell of Frank’s Red Hot Buffalo Sauce makes my mouth water! Unfortunately I can’t just make it for dinner at home because as strong as my love for buffalo sauce is, my husband despises it just as much! So having the opportunity to take it to a party was perfect. I knew that I would love it no matter what, but I wasn’t sure what others would think. Low and behold it was loved by everyone that tried it and was practically the first one gone. My only suggestion is don’t skip the toppings. The soup itself is good, but the addition of green onions, cilantro, and gorgonzola cheese make it outstanding! I even made croutons to serve with ours which I think makes a great addition to any soup. 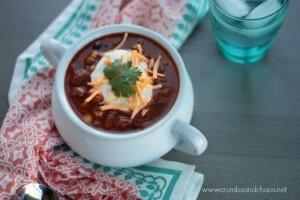 This will definitely be in my regular rotation, even though my husband won’t eat it… that just means more for me, right?! Heat a large pot over medium heat and add olive oil. Add onions with a sprinkle of salt to the pot, stirring to coat, then cook for about 5 minutes until soft. Add in garlic and cook for 1-2 minutes more. Sprinkle in flour and stir for another 1-2 minutes. 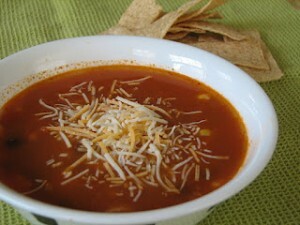 Add in stock, buffalo sauce, chicken and grated cheeses, stirring constantly. Bring to a boil, then reduce and let simmer for 10-15 minutes, stirring every so often. About 1-2 minutes from the end, add in cream cheese and stir until melted in. 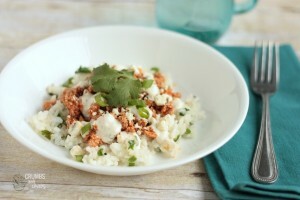 Serve topped with croutons, cilantro, green onions and gorgonzola. ENJOY! Hi Megan – I’m glad you collided these two things – I love buffalo anything. 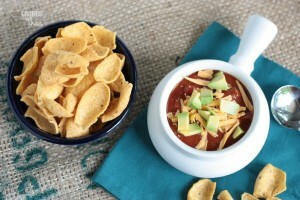 Thanks for linking this soup to our Marvelous Monday party tonight! Pinned! You’ve done something super awesome here! 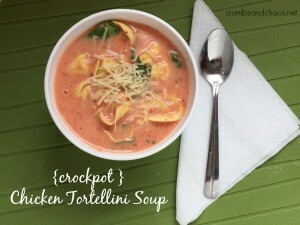 You’ve taken one of my favorite ways to make chicken and made it into a soup. I love it! Thanks so much for sharing at Marvelous Mondays. Pinning and featuring on social media today! Now this is one heck of a soup Megan! Brilliant!